2017 is drawing near, and with it we're about to start a new sermon series at Kishwaukee EPC, the church I pastor. As we do, I wanted to offer a brief explanation of my approach to preaching. If you come to church at Kish this is particularly for you, although everyone else is of course welcome to the discussion too. Ever since I've been able to write my own preaching schedule, my focus has been on preaching through chunks of Scripture. In my first half a year here in Illinois we've preached through Colossians and the Sermon on the Mount, each of which took around three months. This was already a bit of an adjustment to some, I know, but as I've prayed through what to do next year, the thing I've kept coming back to is a sense that we should to work our way through Romans. The whole book. And that will, by my initial planning, take more than a year. We'll be talking about “why Romans” in the intro to series itself, but I wanted to spend a little time here discussing why I think working through books in this way is important and should form the foundation of preaching. First, though, let me offer definitions for a few of the different types of sermons you might hear. Topical sermons are about just that – a topic. Whether it's something theological or practical, they work through some issue, trying to summarize what the Bible says about it. There is nothing wrong with topical preaching - we just finished a brief topical sermon series on God and politics at Kish. It can be very useful. But topical preaching easily skews towards what the preacher wants to say. With the whole Bible available for content, it's very easy to pick and choose which verses and ideas you want to talk about and avoid any hard stuff. 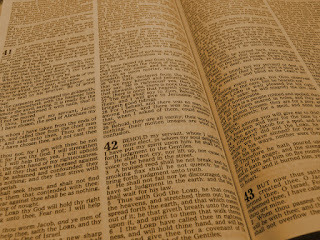 Textual sermons are different from topical – they start with a particular text. That text provides the starting point for the sermon, and perhaps the basic outline. Or it poses a question to be answered. However, over the course of the sermon, it moves from the text toward a topic. The starting text is more of the jumping off point than the destination. Again, this is fine. And it does constrain the preacher a little more; for instance, if the text talks about hell or gender or sexuality, you probably can't completely avoid the subject. That said, it's still pretty easy to steer a text toward ground that feels more comfortable. Expository sermons are similar to textual sermons, but rather than the biblical text being the jumping off point, it is the destination. The goal of the sermon is to explain the text at hand and apply it in particular to our lives. 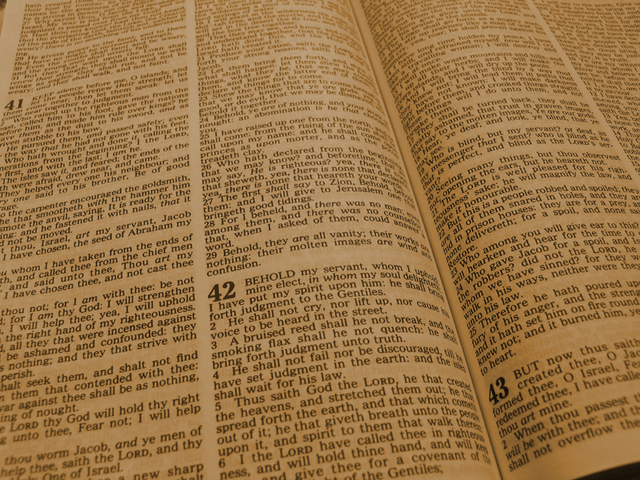 This doesn't mean you ignore the rest of Scripture – context is an important part of any text. But it does mean that you bring it in as it ties into the text under consideration. You are trying to take the point of this particular text and drive it into the hearts of God's people. Expository preaching is the most bounded approach to a text. It forces the preacher to do their best to say what the text says, even if it's not how they'd like to approach something. Systematic preaching isn't in competition with those approaches; it simply means that the way you choose your texts for textual or expository sermons is by preaching through Scripture as it comes. This bounds the preacher even further, since you don't even get to choose the text you're starting with. If the next thing Jesus talks about is uncomfortable, well, then it's going to be a challenging discussion next week. All of these types of sermons have a place. There are times that particular issues arise and the best way to address them is to summon the whole testimony of Scripture. There are other times that you need to lead people on a journey from a particular text to somewhere else. However, I'm committed to the idea that while those are all fine side dishes, systematic expository preaching should be the main course. First, as I stressed above, systematic expository preaching constrains me as a preacher. I don't just get to address easy stuff or gripe about my pet peeves (although I'm sure I do some of that anyway.) I'm going to have to talk about what the text says, like it or not. That makes me talk about the hard stuff. We just covered the Sermon on the Mount, and I had to talk about things like divorce and money. Neither one of which were topics I'd particularly jump at the chance to address on my own. But I am convinced that it was really good for me to spend time wrestling with the Bible's teachings on these things, and that they are good for the church as well. It also makes me talk about stuff I might otherwise simply neglect, and keeps me from having to rest my breadth of teaching on my own creativity. Second, systematic expository preaching actually makes preaching the hard sermons easier. Because nobody has to wonder about some hidden agenda the week we address them. The agenda is simply the numbering of the verses. Nobody had to look around wondering if there was some marriage on the brink that had prompted the sermon on divorce; nobody had to wonder if it was their marriage. And this means that we can enter into a text together as people wrestling with what God says rather than making me sit apart as judge and jury (and, perhaps, executioner). Most importantly, though, systematic expository preaching puts me as close as possible to the power of Scripture itself. I want to be careful here – there is no approach to Scripture that somehow transmutes my words about it into God's words. You can screw up and preach wrong things regardless of your approach, and I never want to claim some divine imprimatur for my opinions. That said, I really do believe that the central, promised way the Holy Spirit works and the power of God acts is through the Bible itself. And so I want as much bible as I can. Not just the power of using the bible for proof texts. I'm convinced there is power in following the flow of thought of Scripture, tracing its themes and arguments. There is power in talking about things with the frequency and in the ways Scripture does. And I know of no better way to strive for that power than to let the flow of thought and selection of topic and approach to that topic found in God's word be imperfectly but honestly reflected in my words too. So we're going to be systematically, expositorially preaching through Romans. I'm excited – Romans is in many ways the apostle Paul's magnum opus, his attempt to summarize for a church he had never visited the sweeping story of God's work of salvation for mankind. But more on that later. As we do, I look forward to wrestling alongside brothers and sisters through every text as it comes, trusting God to meet us in power through each one.